Providing leadership and directions for PhytoScience, our executive team is made up of experienced individuals committed to our mission of empowering the lives and well-being of our members, partners, customers, and staff with the highest quality, scientifically proven & clinically researched products, innovative and best business opportunities. Tan Sri Dato' Sri Lai Teck Peng founded PhytoScience with a passion of helping others and a love for business. Dato' Sri Lai currently serves as the Chairman and CEO of Phytoscience, settling the vision and strategies for the company. 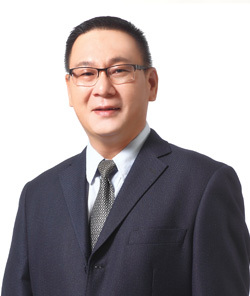 Dato' Sri Lai brings in more than 26 years of significant network marketing experience and track record as a successful network marketing entrepreneur as well as extensive leadership and operational management skills in global consumer-oriented businesses. He is also known for his capabilities and success in creating effective corporate systems, implementing key business strategies for Multi Level Marketing companies, excellent aptitude in product development, procurement, management information system, finance, as well as sales and marketing. On 26th November, 2013, Dato' Sri Lai was bestowed the honorary title of Darjah Sri Sultan Ahmad Shah Pahang (SSAP) which carries the title "Dato' Sri" by his Royal Highness The Sultan of Pahang. 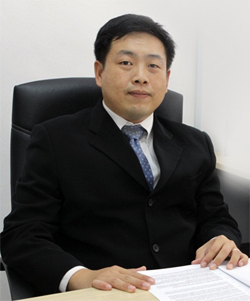 Mr. Ng is responsible for all legal affairs at PhytoScience. He holds an LLB (Hons) Degree from University of Malaya (2004). He began his career as the senior researcher at the Institute of Strategic Analysis and Policy Research (INSAP) from 2004 – 2006, Press Secretary for the Minister of Housing & Local Government from 2006 – 2008, joined Messrs. Gan & Zul, Messrs. Tan, Chua & Lawrence and later in 2012 established his own law firm – Law Chambers of Ng Kian Nam in Seremban. YB Datuk Haji Johan Abd. Aziz is a member of the Selangor State Legislative Assembly (ADUN) for N. 24 Semenyih State Constituency since March, 2008. 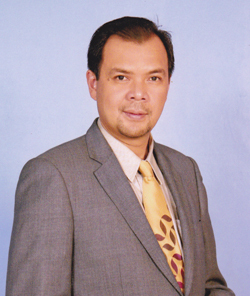 YB Datuk Haji Johan Abd. Aziz is currently holding several key positions appointed by Ministers such as Council Member for Majlis Amanah Rakyat (MARA), Coordinator Ministry of Urban Dwelling, Housing & Local Government (KPKT) for the State of Selangor and Coordinator for Ministry of Home Affairs also for the State of Selangor. YB also holds positions in both Federal and State levels for Hulu Langat Parliamentary constituency in charge of coordinating people’s welfare. YB was conferred Darjah Mulia Seri Melaka in 2010. He is also a member of the Association of the Justice of Peace (JP) Selangor.